Bardel just got a new CEO. Former Sony Pictures Animation producer Rick Mischel will take over for company founders Delna Bhesania and Barry Ward. End of an era. Link here. 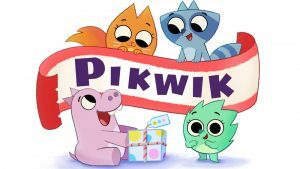 Guru scores another deal, this time it’s with Disney Junior, for their new preschool series Pikwik (52 X 11). Congrats to Frank Falcone, Mary Bredin, and Rachel Marcus! Link here. BBC with a “How do you create a hit show” piece focusing on Paw Patrol. Link here. WOW! Networks gets CRTC approval for new kids and youth channel. Link here. This entry was posted on Thursday, July 12th, 2018 at 11:42 am	and is filed under News. You can follow any responses to this entry through the RSS 2.0 feed.